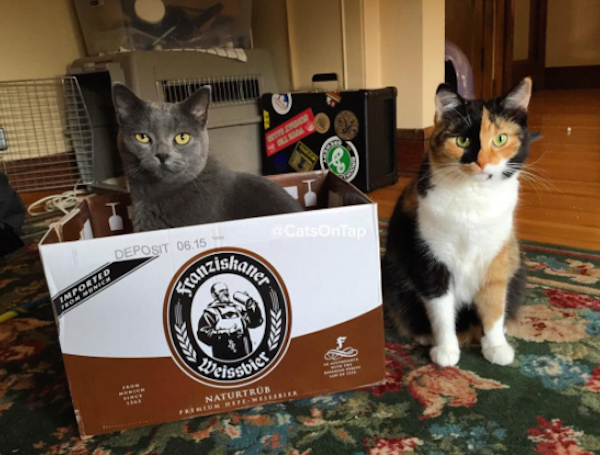 They inspect and sniff (but never drink) brews in photos, and they love the cardboard beer-box forts. 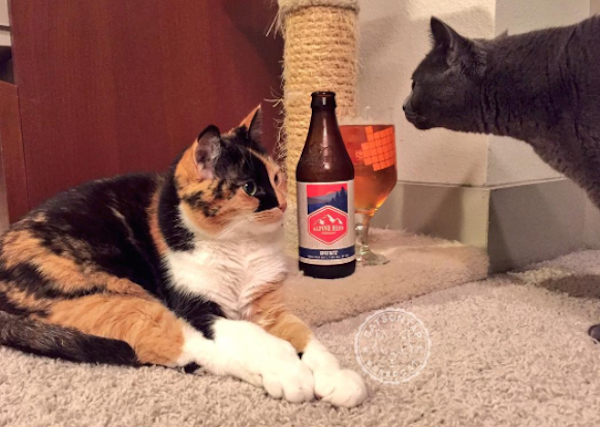 Rosie and Milly are two of the world’s foremost beer cats. This means they enjoy checking out new craft beers while sharing their discerning (or disinterested) opinion of the brews to the world through Instagram photos. Cheers to that, as they say. 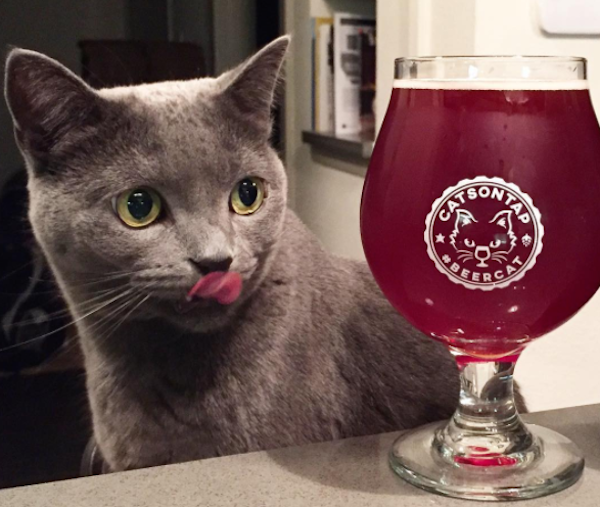 With a little help from Caroline and Nick, the Dallas-based humans behind the Cats On Tap social media accounts, here are some facts about the burgeoning beer cats movement. Rosie was adopted by Caroline and Nick back in 2013 from a no-kill shelter. She was one of five kittens in a feral litter that was rescued ahead of a large Minnesota snowstorm. Milly joined the brood about a year later. After Milly’s pregnant mother wandered into a friend’s house, she was taken in without anyone realizing she was with kittens. Once Milly popped out, she was scooped up and joined Rosie at what was soon to become Beer Cat HQ. Now back to the beer stuff. 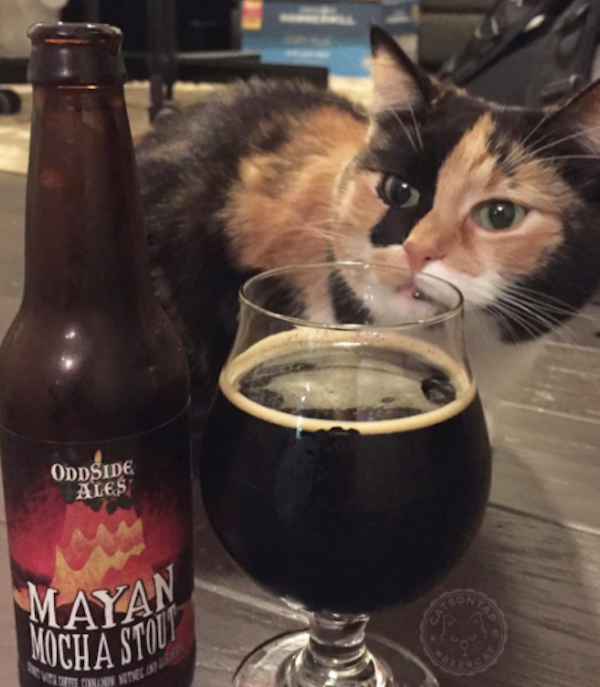 The official records show that Rosie’s first ever beer-cat photo was taken with the Nebraska Brewing Co.’s Romancing the Cone IPA in December 2013. “The humans had just poured the beer into a fresh pint glass on the kitchen counter when Rosie jumped on top of the barstool to investigate,” recalls Caroline. Photobombing ensued and so the Cats On Tap social media empire was launched. As for Milly’s beer cat credentials? 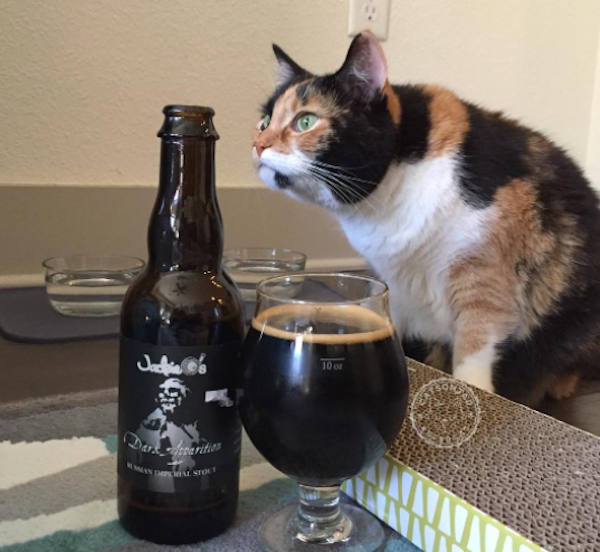 She began formal training when she was 15 weeks old and claimed her first beer-cat picture with some New Glarus Moon Man pale ale. 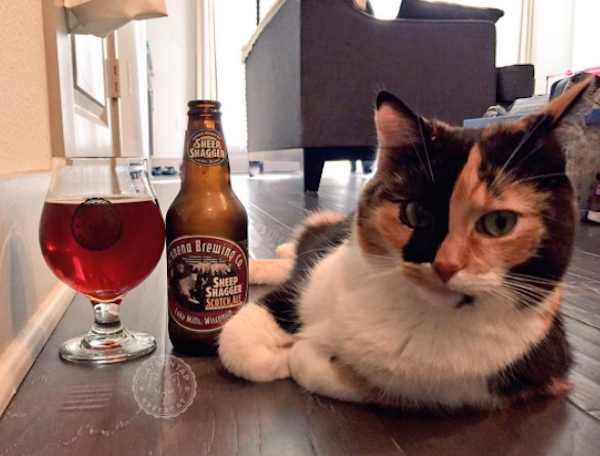 “Since Rosie was the first beer cat, Milly takes her cues from Rosie and patiently waits her turn to investigate the new beers,” adds Caroline. If Rosie and Milly were allowed to conjure up their own signature Cats On Tap tipple, Caroline speculates that they’d plump for an IPA or a pale ale that’s been brewed with the combination of catnip and mosaic hops. Being a beer cat isn’t all sniffing out new brews and hamming it up for the Instagram lens — there’s also the responsibility of maintaining your beer fort and showing it off on Beer Fort Fridays. Crafted out of a cardboard box from your favorite brewery, a good beer fort should be “decorated with stickers and teeth marks to make it unique,” Caroline says. And for the advanced beer cat? 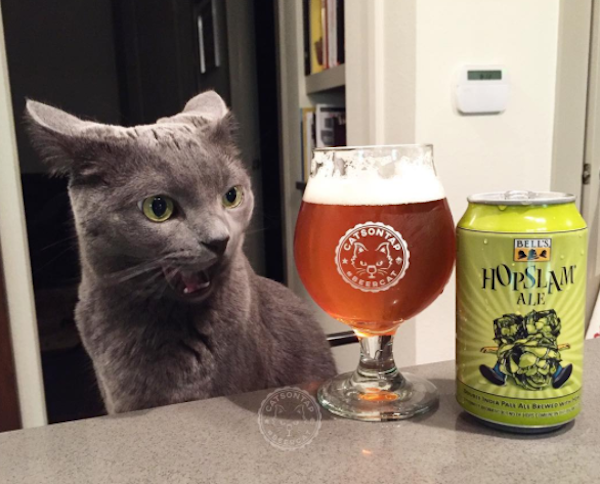 Check out more of Rosie and Milly’s hoppy adventures at the Cats On Tap Instagram and Twitter accounts.